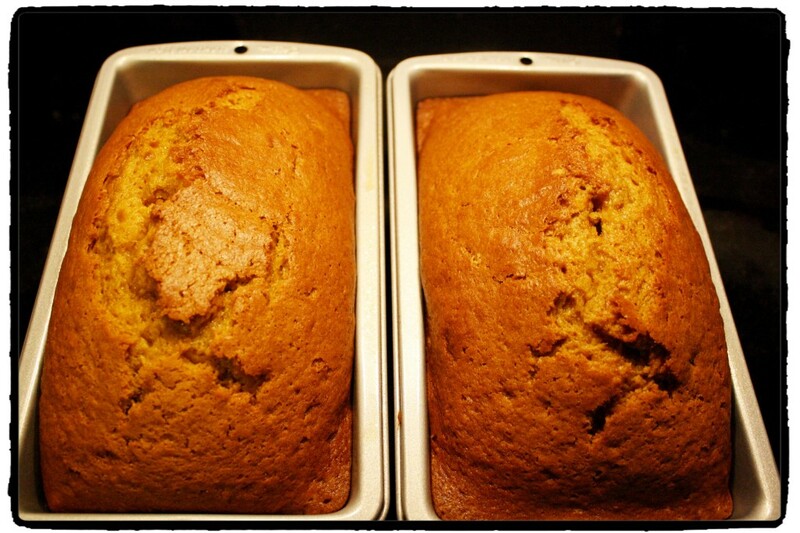 I’m continuing with my pumpkin obsession this Fall and made some of my favorite pumpkin bread. This is a recipe that my grandmother and mom used as I grew up with. It not only fuels my pumpkin obsession, but it brings back comfy memories of my childhood – running through the leaves, the first fires in the fireplace, and getting excited about Halloween! This recipe is very simple to put together. We start off by mixing all the wet ingredients in one bowl and the dry in another bowl. I usually put my dry ingredients in the larger bowl. We then combine the wet ingredients in to the dry and make sure to mix completely. 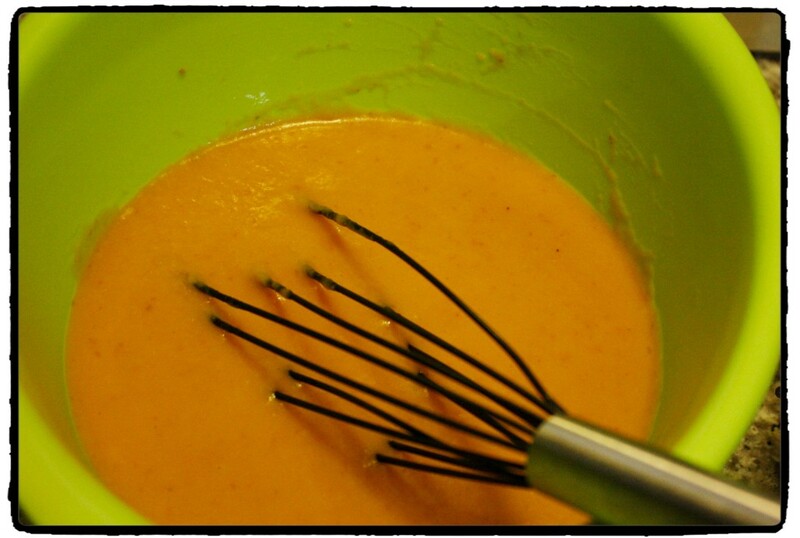 You want to mix it until you are sure all the dry ingredients are incorporated but the batter is smooth. 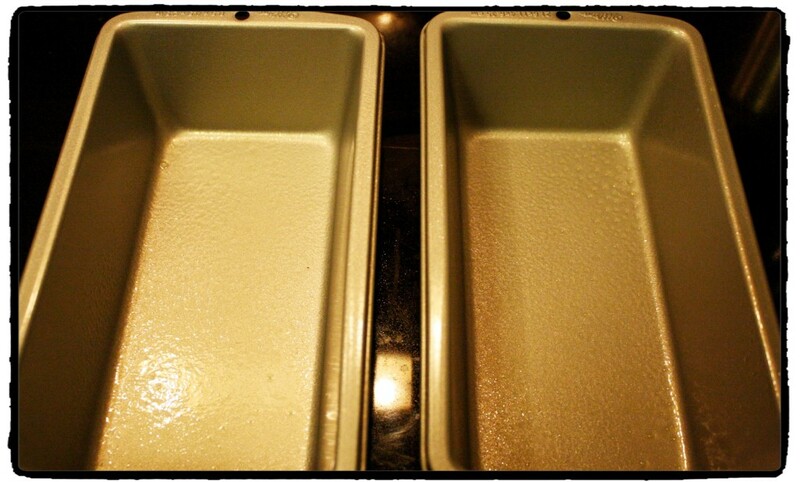 Pour the mixture in to 2 loaf pans that have been sprayed with non-stick spray. I make sure they are as even as possible. Then stick them in the oven. Depending on the size of loaf pans you use, an hour may not be long enough for the bread to be baked in the middle. I always check mine at one hour and then if it’s not done, set the timer for 5 to 10 minute increments and check again. This time it took an extra 10 minutes for the middle to be baked completely. 1. 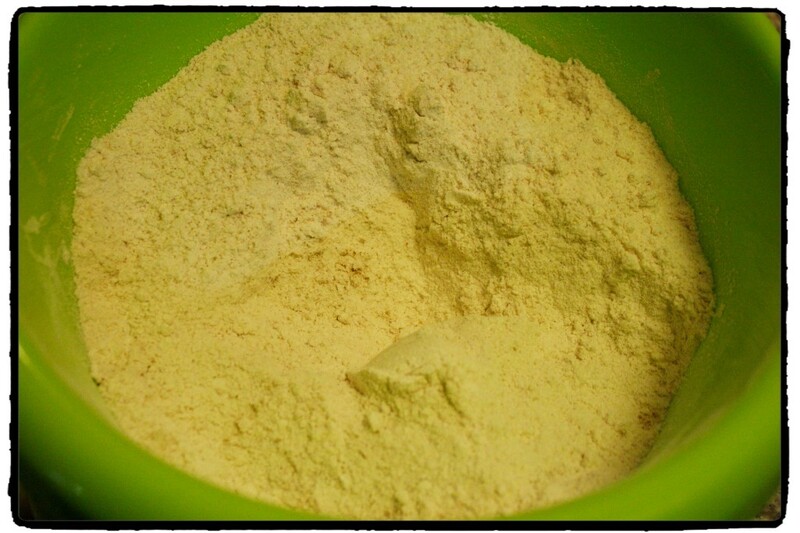 Combine all dry ingredients in one bowl and all wet ingredients in to another bowl. 2. 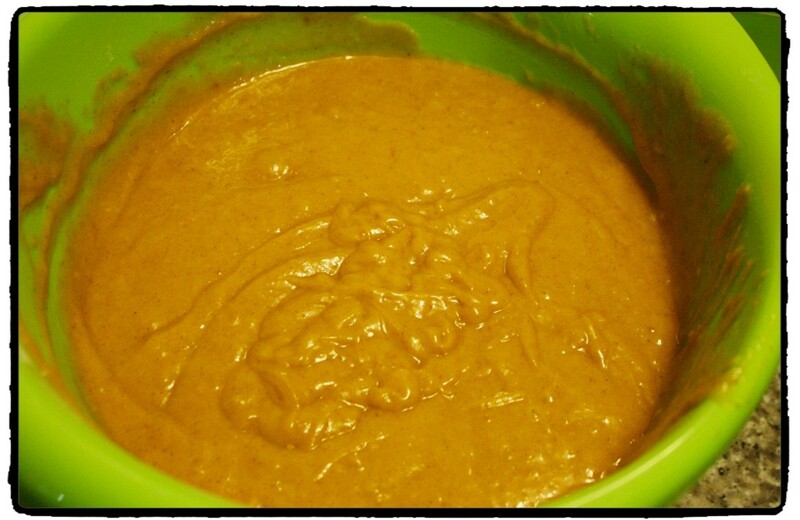 Pour the wet ingredients in to the dry and mix until all the dry is incorporated and mixture is smooth. 3. 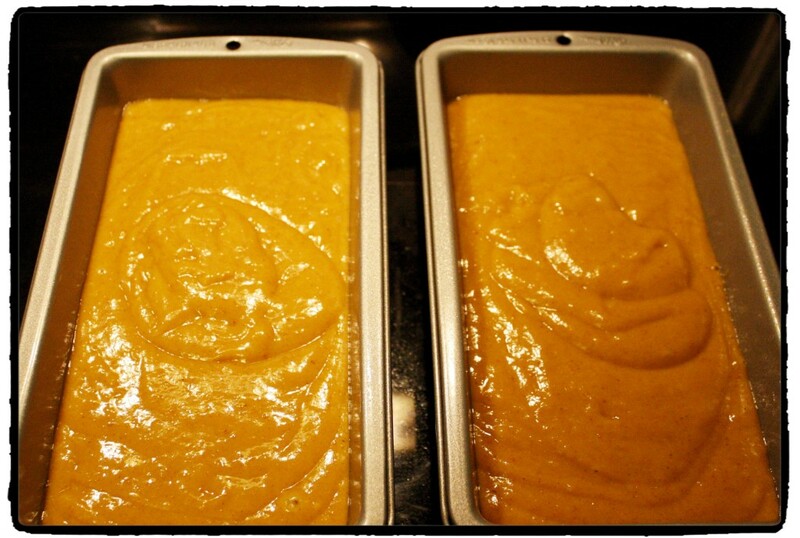 Pour mixture in to 2 loaf pans that have been sprayed with non-stick cooking spray. 4. Bake at 350˚ for approximately 1 hour. Check the middle with a toothpick at the 1 hour mark, if not done, place back in the oven in 10 minute increments until baked through. 5. Let cool for 15 minutes in the pan, then remove and let cool on a rack. You can serve this right away or you can even wrap it and place in the freezer for later. This looks delicious! 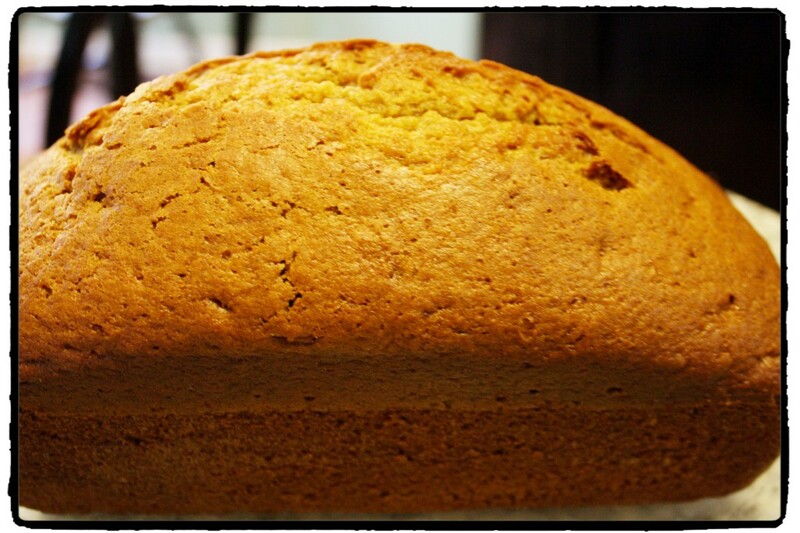 I’m not a huge pumpkin fan but for some reason I love pumpkin bread! I plan to try this! Thanks! Yum! This looks fantastic. I love anything pumpkin. Yum. This sounds so good. I have been craving pumpkin bread every since I saw some at Starbucks the other day. You are most welcome! I hope that you enjoy it. Thank you for stopping by. LOVE me some pumpkin bread!! Me too! I LOVE making it this time of year especially. Anything pumpkin really. Thank you for linking up at the fall link up party! We enjoy pumpkin bread at our house. Fall flavors are great aren’t they? ?